ISO Approved Supplier & Exporter of Seamless & Welded Stainless Steel 430 Pipes & Tubes. SS UNS S43000 Pipes, Stainless Steel 430 Tubing, ASTM A268 Stainless Steel TP430 Seamless Tubing, ASTM A268 430 Welded Tubes, TP430 Stainless Steel Seamless Pipe, SS Werkstoff nr. 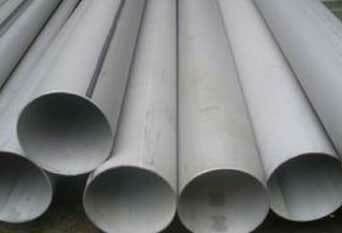 1.4016 Welded Pipes, Stainless Steel TP430 EFW Pipes Exporter, SS 430 Tubing Manufacturer in India. 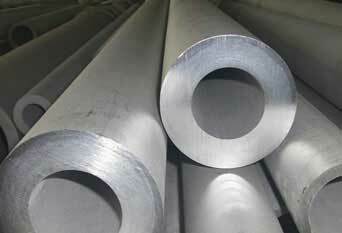 Piyush Steel is a distinguished supplier of Stainless Steel TP 430 Pipes, which is not hardenable by thermal treatment. Stainless Steel UNS S43000 Pipes and Tubes is non-hardenable steel containing straight chromium, and belong to the ferritic group of steels. 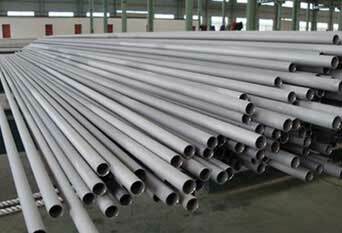 Stainless Steel Din 1.4016 Pipes and Tubes has excellent resistance to citric and nitric acid, sulfur gases; slightly less corrosion and heat resistant than Types 301, 302, and 304. Lower work hardening rate of SUS 430 Pipes makes bending and forming somewhat easier than for grade 304. Also lower ductility restricts very severe operations. Alloy 430 Pipes is readily drawn and formed. Its drawing characteristics are similar to those of low-carbon steel, although it is stronger in the annealed condition and will require stronger tooling and increased power. Buy 430 Stainless Steel Seamless Tubing at reasonable cost from us. Large Inventory of Stainless Steel TP 430 Seamless Pipes, 430 Stainless Steel Pipe, SUS 430 Stainless Steel Pipes, ASTM A268 Seamless and Welded Ferritic Stainless Steel 430 Tubing, Stainless Steel ASME SA731 TP 430 Pipes, TP 430 SS ERW Pipes, 430 Stainless Steel EFW Tubing Stock Holder. Seamless Ferritic Stainless Steel 430 Welded Pipes, Stainless Steel TP 430 Tubes, SS 430 Pipe, Stainless Steel 430 Pipe, ASTM A731 SS 430 Pipes Dealer, Stainless Steel 430 Seamless Pipes, SS 430 Seamless Tubing Stockists, Inox 430 Pipe, 430 SS Tube Supplier in Mumbai, India. Type 430 Pipes is ferritic, straight chromium, non-hardenable grade, combining good corrosion resistance and formability characteristics with useful mechanical properties. SS 430 Tubes combines good heat and oxidation resistance up to 1500 Degree F (816 Degree C) with good mechanical properties. Alloy 430 Tubes has good corrosion resistance in mildly corrosive environments and good resistance to oxidation at elevated temperatures. The strengths of Type 430 Tubes are in ductility, formability, good corrosion and oxidation resistance, thermal conductivity and finish quality. 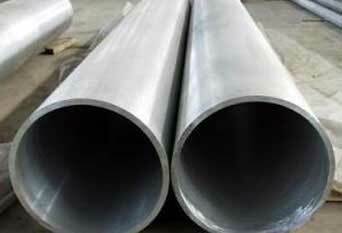 Martensitic Stainless Steel Grade 430 Pipes has similar properties as grade 430, although it is a molybdenum-bearing version, where the molybdenum content enhances its corrosion resistance. The principal use of AISI 430 Tubes is for decorative purposes. Martensitic Stainless Steel Grade 430 Tubes is a general 16% Cr ferritic stainless steel, feasible for many applications including catering, appliances and indoor applications. Typical applications of SUS 430 Tubes include washing machine drums, dishwashers, sinks, countertops, and range hoods. The ability of AISI 430 Pipes to resist nitric acid attack permits its use in specific chemical applications but automotive trim and appliance components represents its largest fields of application. We Supply SS 430 Pipes & Tubes of various origin’s and companies like Nippon Steel & Sumitomo Metal, Sandvik, Sanyo Special Steel, Kobe Steel, Schoeller Bleckmann, Salzgitter Mannesmann Stainless Tubes, Tubacex etc. 430 stainless steel tube steel, 430 stainless steel, 430 stainless steel pipe tube, prime quality tp430 stainless steel seamless pipes, 10mm stainless steel 430 tube, 430 stainless steel pipes and tubes, 430 Ferritic Stainless Steel, 430 stainless steel pipe, 40mm stainless steel 430 tube, 430 stainless steel tube manufacturers in mumbai, india, stainless steel 430 tube pipe, 430 stainless steel pipe price list, 430 stainless steel tubing sizes, martensitic stainless steel 430 pipe, large diameter steel 430 pipe manufacturers in india, 6 stainless steel 430 pipe, perforated 430 stainless steel pipe, 430 stainless steel pipe specifications, stainless 430 exhaust pipe tubing, 430 stainless tubes and pipes, ss 430 seamless pipe sizes, 430 stainless steel tubing suppliers, tp430 seamless pipe manufacturer, 430 stainless steel tubing price in mumbai, india, stainless steel 430 pipe price, stainless steel 430 coil tube, stainless steel 430 tubing suppliers in mumbai, india.